Did you know there are Amish in Texas? 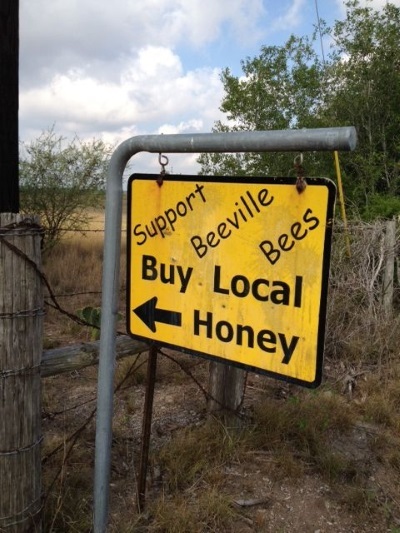 Since the late 1990s, a community has existed near Beeville in Bee County. This is about a 2-hour drive from the Mexican border. As you can see in these photos, the climate and landscape here are rather different from what Midwestern Amish are accustomed to. This small community has some businesses and agriculture (including fig and citrus trees), but it’s not your typical Amish dairyland. Produce is grown with the help of irrigation. There is honey from beekeeping. 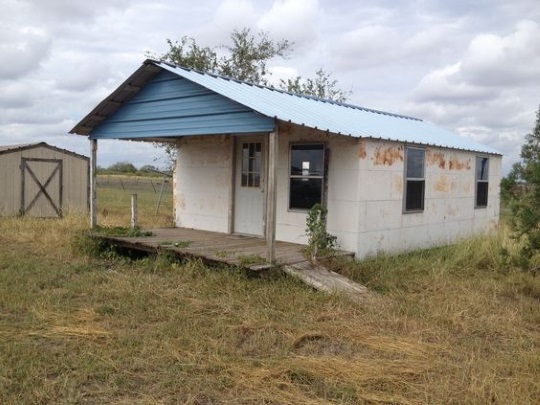 Author Kelly Irvin has a collection of 21 photos of the Bee County settlement up on her Pinterest page. I’ve shared a few here; the top photo is by Bob Rosier from a previous photo post. The Bee County community is known for its annual school benefit auction (see photos from the 2015 edition). 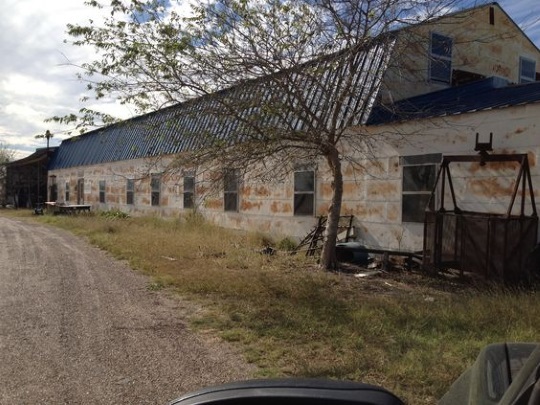 The best-known business is probably Borntrager’s Combination Shop (pictured in the photo below; also see Kevin Williams’ video here), run by the settlement’s bishop. Amish have tried to settle in Texas multiple times since the early 1900s. But as of today, Bee County is the only place you’ll find a permanent Amish presence in the Lone Star State. You can read more on this community here. Amish tried to settle in Texas long before that. There were some in the early-to-mid-1980s, at least. They were from Indiana and were trying to establish a settlement in the northeastern corner of the state. It only lasted a few years. By the way, when I tried clicking the link to this article from my email, it just got hung up and wouldn’t finish getting here. I had to come here manually. Maybe the error was on my end but just thought I’d let you know. But the first bona fide settlement did not arise until 1909, near the town of Plainview in Hale County. Thanks for letting me know about that email click through challenge, I haven’t heard it from others so might have been a local issue, but if I do I’ll look further into it. Stumbled across this post just now, missed it at the time it was current. My wife and I actually lived in Plainview, Texas when we first got married. I was with a farm publication and we really enjoyed that part of the state. I will say, in the days before massive pumps could bring water up from the underground Ogallala Reservoir (which allowed for massive irrigated farming operations), I could see how it would have been a pretty tough place for a farmer to eke out a living. Thanks for the reply, Erik. No, it was not the Stephensville community. It was in a tiny town called DeKalb, in Bowie County. I don’t know when they arrived. I was just a toddler. I think they left by the end of the 1980s. They definitely did not have phones or electricity. They didn’t even have plumbing. They used outhouses. They were Old Order Amish, and quite poor. But I think their poverty was because they were new there and so small and isolated. Like one of your articles says, that tends to be the case with such communities. They weren’t so poor back home in Indiana; it was a rough adjustment for them. And they weren’t able to make it, economically. Interesting JM, thanks for swinging back to share this. I enjoy these histories even if they are of communities that ultimately did not last. If you read accounts of failed communities, climate affecting farming is often a cause of struggle. If you like these stories of past Amish settlements, there is a fascinating book I can recommend called The Amish in America: Settlements That Failed 1840-1960 which tells in rather great detail the story of dozens of failed Amish settlements, some in places you wouldn’t expect. You are very welcome, Erik. Thank you for the reading suggestion! Hi – This community is right in the crosshairs of Hurricane Harvey and the expected torrential flooding rains, isn’t it? Any idea what will happen (or has happened) to them? How are the Beeville Amish doing during Hurricane Harvey? Adair sorry your comment landed in spam for some reason so I had to fish it out – on your question, I did hear from one TX reader via email over the weekend that it looked like that community “dodged a bullet, at least wind wise”…of course we see now that flooding is doing the biggest harm. He says the Beeville people live on a flat, low plain, so water would “have a hard time draining off”. I haven’t heard a lot more besides his analysis which is from about 5 days ago. I do see an article from around the same time, reporting on 1700 residents of Bee and a neighboring county being without power…of course that doesn’t really apply to the Amish residents, does it. 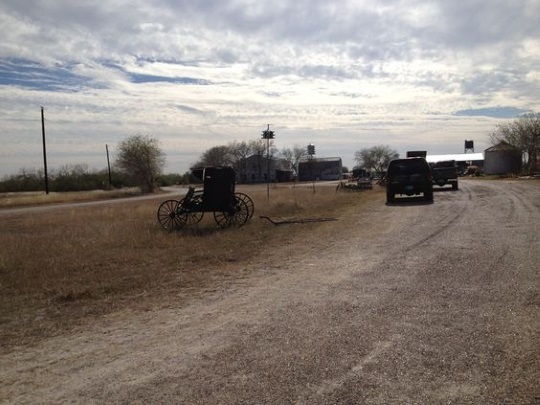 There are Amish people in Grimes County, Texas on FM 2 just west of Highway 6 near the Luther Prison Unit! Christopher, interesting, I see that’s just a bit north of Houston, is it possible they are volunteers helping with rescue and disaster operations? 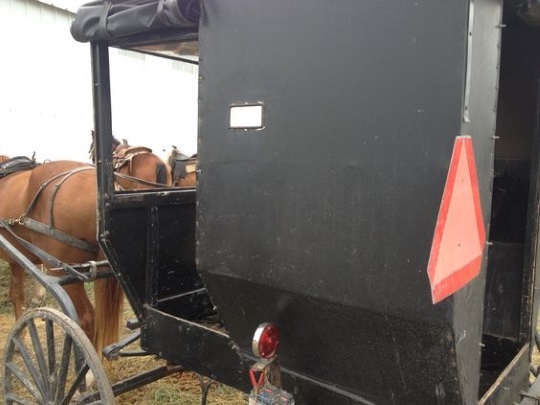 Or is it possible they are not Old Order Amish but a related group like Beachy Amish or a Mennonite group? Nina Pace is there an active Amish of ommunity in Texas that I could visit December 30,2018? Is there an active Amish community in Texas that I could visit December 30, 2018? 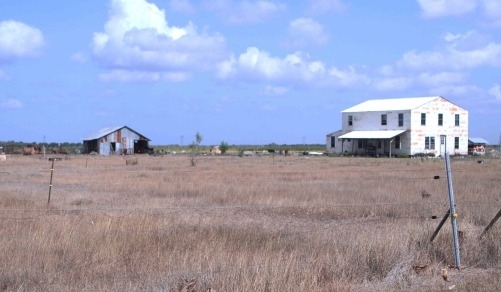 This community (Beeville) is still there and is the only Texas community. However don’t expect a whole lot if you go there, as it is quite a small community, though there is at least one store you should be able to visit if it’s during business hours (Borntrager’s Combination Shop mentioned above). I have heard of an opportunity to seek holistic type of treatments for illness, do you know of this being available anywhere in Texas through the Amish community?